Clich here to download the program. 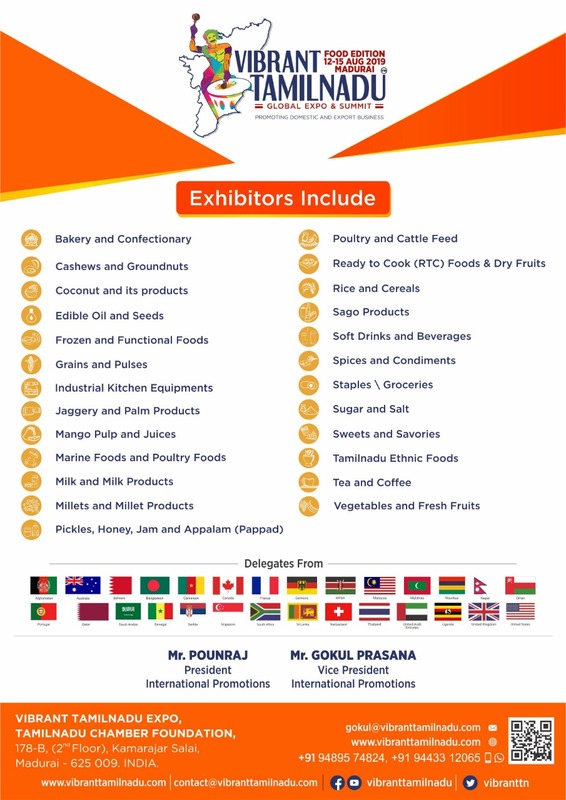 This 2nd Edition of the fair will focus on the food and beverages sector in Tamil Nadu. Tamil Nadu is one of the leading producers of agro and food products. Vibrant Terry Towel Global Expo and Summit. on the occasion of the India Leather & Accessories Fair 2019, Sept 25-27, 2019. (Organisers' are offering a Complimentary package (economy return airfare subject to ceiling and providing 02 nights stay in a 5 Star Hotel (bed & breakfast only)) to one Executive (Director/Senior Executive of the Importing Company.). [Focus on inclusive development of Goa in key areas such as innovation, sustainability, industries, MSME's, technology, youth, skill development and knowledge sharing and networking].